We don’t need to say it twice: it’s been a long winter. 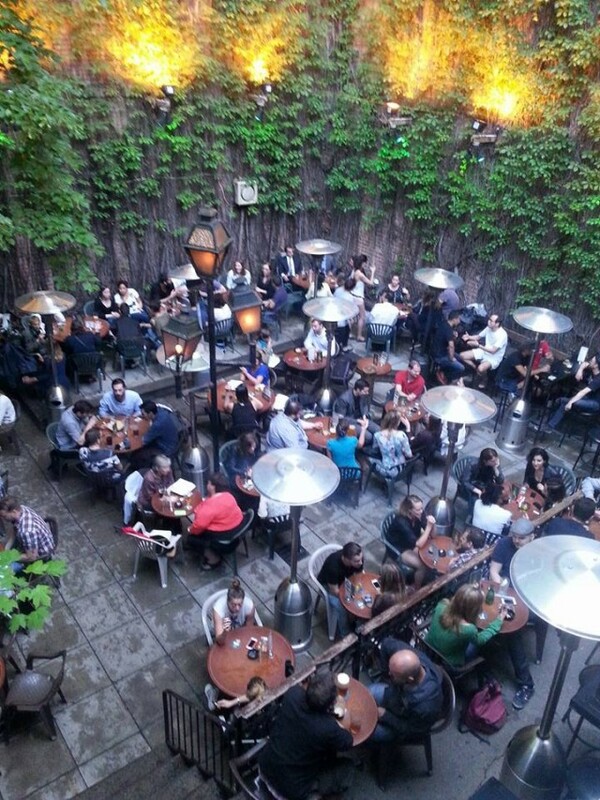 We’re excited to say we’re finally seeing the light at the end of the snowy, icy tunnel… terrace season is here! 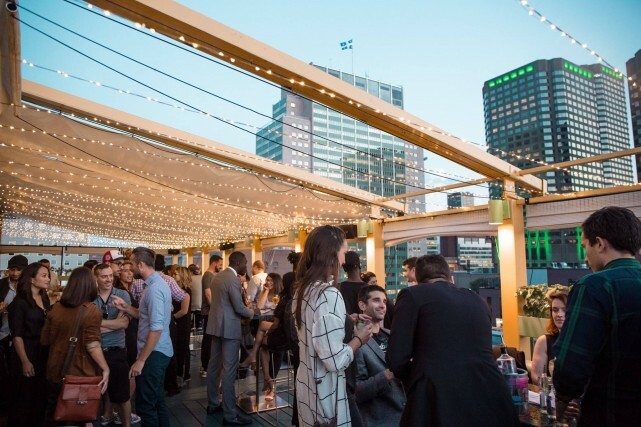 A highlight of Montreal summers, terrace season is filled with beautiful sunny patio bars for you to try all season long! Whether you’re looking for good booze, good food, or a great view to soak up the sun, we’ve got you covered with all the best bars with terraces in the city! Le Saint-Sulpice is one of our favorite summer bars for both its size and diversity. The bar consists of different rooms that each have their own unique vibe. Whether it be the Caveau, the loud and crazy karaoke room, the Original, the classic rock bar, or any of their other unique mini-bars, le Saint-Sulpice is sure to have something for everyone. Of course, le Saint-Sulpice is famous for their massive back garden terrace. 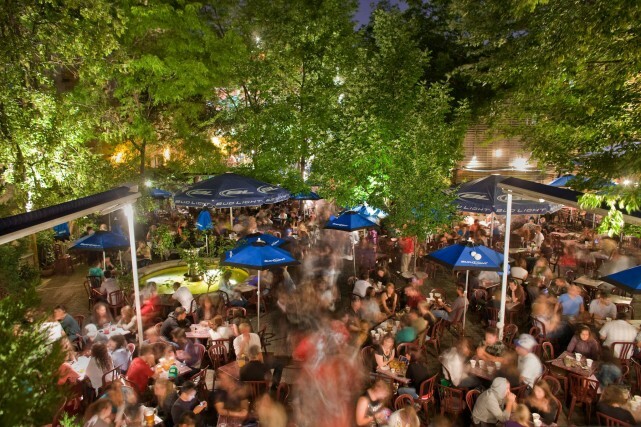 The terrace is strewn with patio umbrellas, huge trees, and dainty garden lights. A great place to share a pitcher of beer with friends! 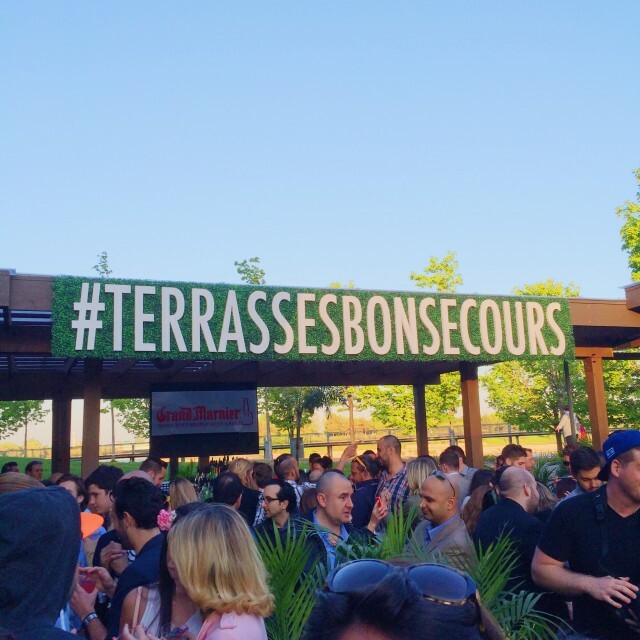 We’ll let the name give it away; Terrasses Bonsecours is one of the more popular terraces in the Old Port of Montreal. 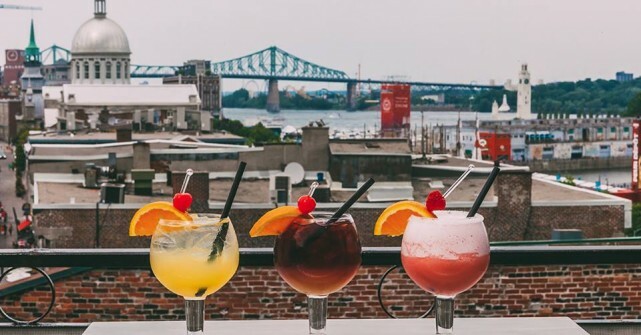 Terrasses Bonsecours prides itself in hosting its wild Wet Wednesdays on its upstairs terrace every Wednesday night throughout the summer with DJs and bottle service galore. 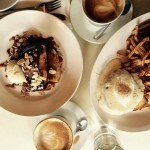 We also love their Boozy Brunch on Sundays, where you can lounge on their outdoor patio while munching on their savory tapas and day drinking their famous sangria. Our favourites are the strawberry-lychee and watermelon-kiwi sangrias, as both are so fresh and fruity for summer. Oh Canada! 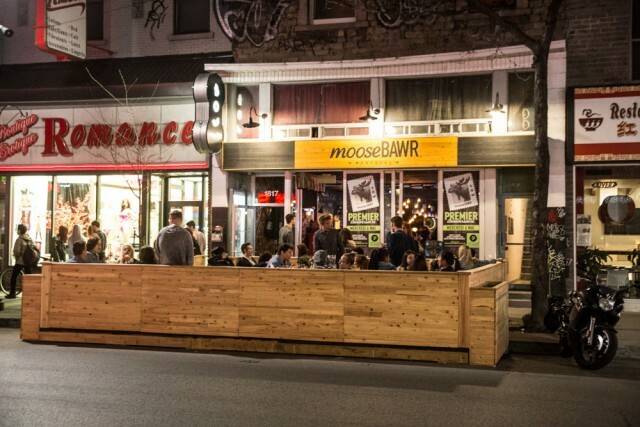 Pay an ode to your Canadian heritage by getting some drinks on Moose Bawr’s cozy terrace this summer. The bar has a rustic lumberjack vibe, and the Canadian theme progresses through its patriotic pub grub. Try their beer battered sausage bites, aka moose bawls, or their awesome sangrias, like the Cabane à sucre sangria, a fruity concoction of white wine, Bacardi rum, and maple syrup! Of course, what’s a Canadian bar without Canadian beer? Drink up from a glass, pitcher, or das boot! What’s the only thing better than a terrace? A rooftop terrace! 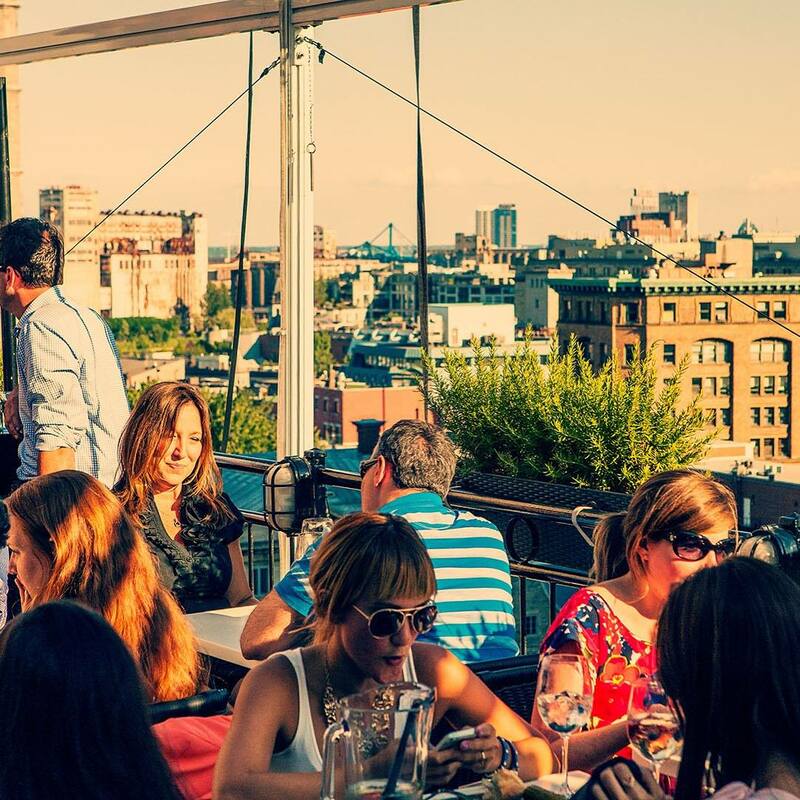 One of our favourite rooftop terraces in the Old Port is Terrasse sur L’Auberge. This hot spot offers beautiful views of the St. Lawrence River and St. Paul’s street to take in while snacking on tasty tapas and drinks. Don’t forget, for an entrance fee of just $25, this is a perfect place to get a stunning view of L’International des feux Loto-Québec throughout the summer! If you’re looking for a fancier night out, Pandore is the place to go. This nightclub offers picturesque views of the Quartier des spectacles. Their beautiful top floor terrace is the perfect summertime clubbing location to dress up and dance to internationally known DJs. On top of classic bottle service, Pandore offers a selection of unique and tasty cocktails. Going with a group? Try their famous punch bowl. Le Sainte-Elisabeth is an Irish-pub style terrace located in the Quartier des spectacles. A great spot for students, the quaint terrace is an ideal place for casual drinks with friends. They have an awesome extended summer happy hour from 3pm to 8pm Wednesday to Friday where select beers and wines are only $4!! We’d also like to recommend their signature Tornado cocktail, a fresh concoction of white wine, triple sec, cranberry, and lime. A hidden gem in the Old Port, Scarlet Exclusive’s secluded terrace is a great place to go for some weeknight drinks with friends. 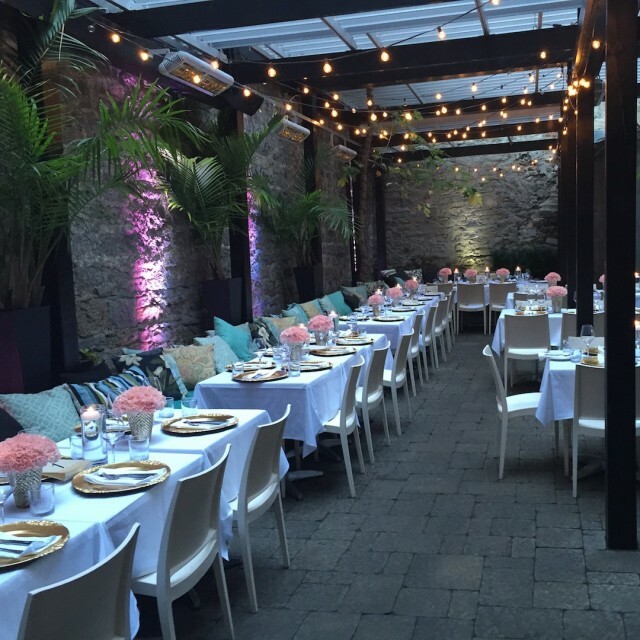 Every Tuesday night, enjoy their “Secret Garden” event on their beautifully lit-up outdoor patio. 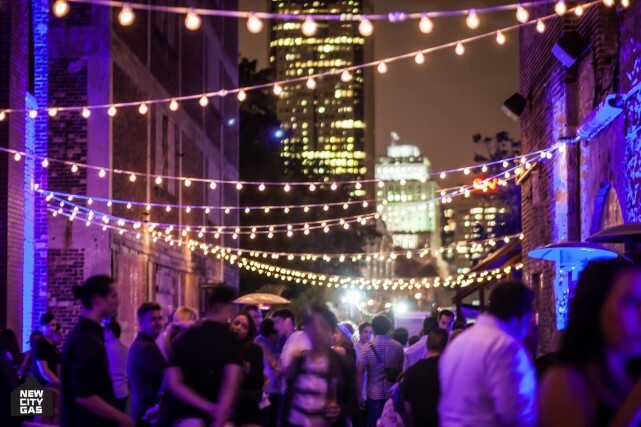 An event thrown in partnership with Veuve Cliquot, it’s the perfect place to sip champagne, order fresh seafood, and socialize with the city’s finest under the hot summer heat. 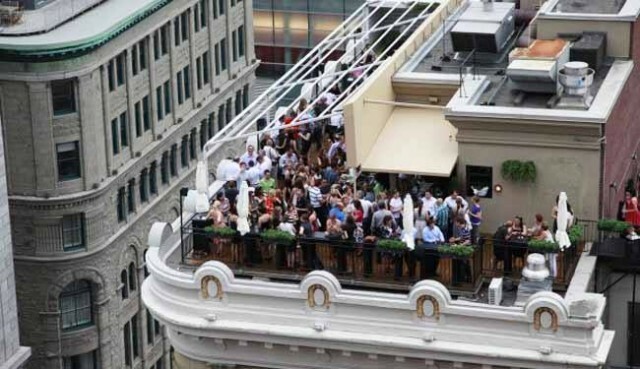 Another one of our favourite rooftop terraces overlooking downtown Montreal is Terrasses Place d’Armes. Try their signature raspberry mojito to beat the heat while nibbling on their delicious marinated olives or sweet n salty nuts on a hot summer day. Bonus: their terrace is partially covered, so you can enjoy the views and booze rain or shine! What’s rosé, white, and red all over? 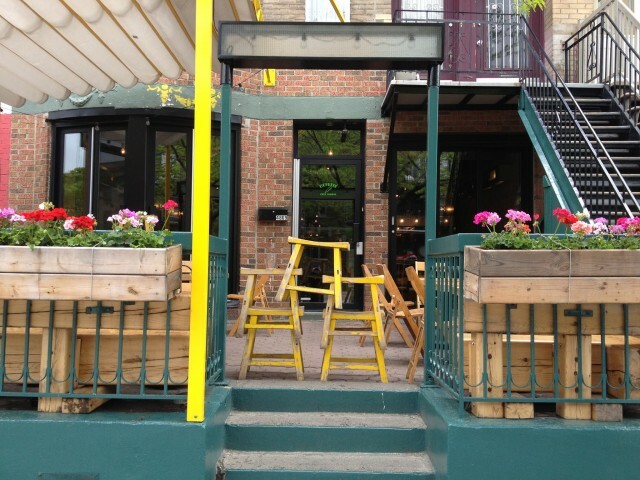 Buvette Chez Simone is a wine bar located on Parc Avenue with a woodsy and romantically lit terrace. A perfect bar for your next date night, try their wide selection of wines paired with the tasty items on their tapas menu. We love their customizable charcuterie and cheese platters, with so many types of meats and cheeses to choose from! Our city is internationally known for the historic architecture of Old Montreal, and the William Gray Hotel is a prime example. At the top of the hotel is a lovely outdoor bar to take in the sun with food and drinks. 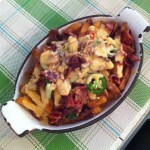 This bar is also perfect for seafood lovers, as their menu specializes in eats from the sea. 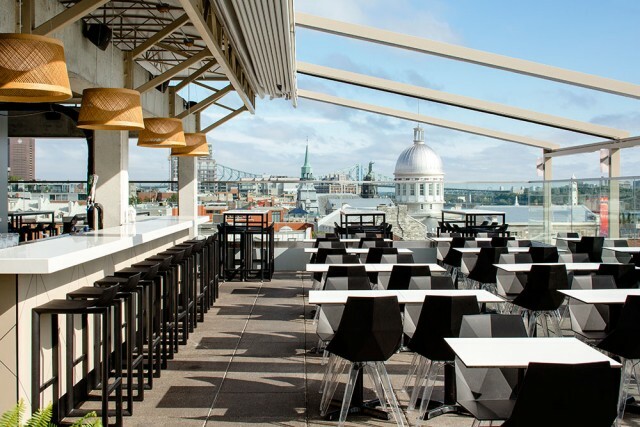 One of the more popular bars for terrace season, Terrasse Nelligan is a classic spot for food and drinks on a nice summer day. Open every day until 10pm, enjoy some wine, champagne, or signature cocktails while basking in the sun next to the Notre Dame Basilica. Our cocktail suggestion? The Nelligan Julep: a citrusy combination of lemon, basil, and Gentleman Jack! 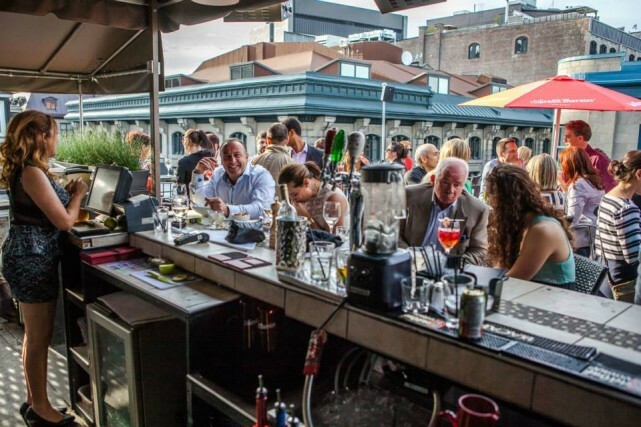 Another popular 5 à 7 terrace in Montreal for boozing it up after work is New City Gas. 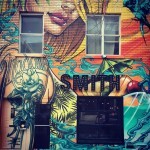 Their Thursday 5 à 7 is always packed with well-dressed Montrealers looking to wind down. 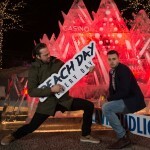 Bonus: if you’re into EDM, they often bring in DJs (local and international) to perform on the terrace in the summer! You can enjoy your favourite beats without having to enter the crowded club. Photos courtesy of the respective businesses.